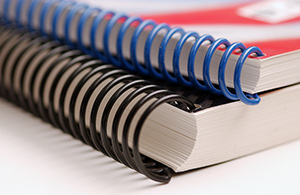 Color and black and white digital printing is available on a wide variety of paper stock. 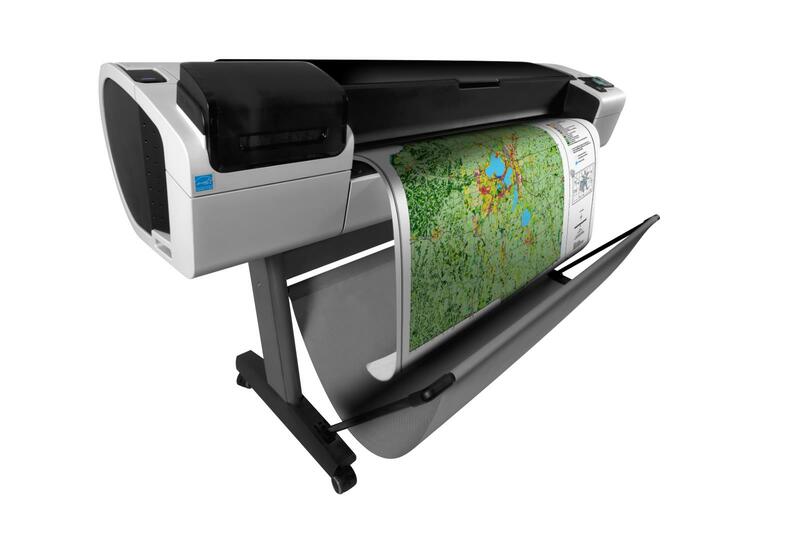 We are able to print to a maximum 42" wide on drawing, poster, banner, or adhesive vinyl material. Our in house designer is able to bring your ideas to print using the ADOBE suite. We are able to provide a large variety of promotional products, office supplies & finishing services. Broadmoor Stationers opened its doors in June 1979 after founder Dennis Miller, had a vision of a one-stop office supply service center. This innovative new addition offered approximately 600 every-day retail office and service items to meet the needs of the rapidly growing business community. Quickly outgrowing its original space, Broadmoor was relocated in 1982 and a quick copy and printing center was added to meet customer needs. The newest addition resulted in a corporate name change to Broadmoor Stationers and Copy Center, Ltd. in 1997. To keep pace with industry changes and increased consumer demand, construction of a new location commenced again in January 1999; The company moved into its current location in April 1999. In 1993, the company was awarded with the Customer Service Excellence Award in Strathcona County by the Chamber of Commerce due to Dennis Miller’s belief in customer service first and his well-trained staff whom share in this commitment to excellence. 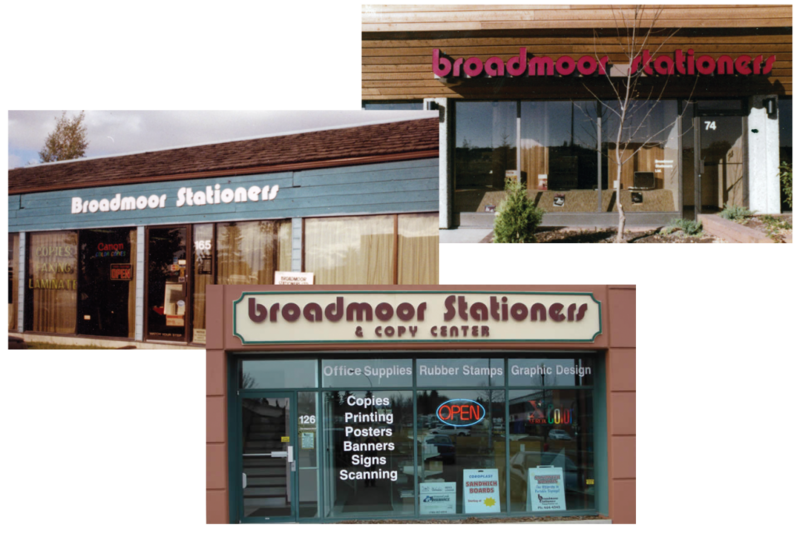 In 2010, the year of its 31st anniversary, Broadmoor Stationers and Copy Center was awarded the 2010 Long Time Service/Legacy Award from the Sherwood Park and District Chamber of Commerce. Moving into the modern day, Broadmoor Stationers and Copy Center is currently running its first digital press, offering our customers a wide array of printed products, while still offering many office product items. Dennis started Broadmoor Stationers and Copy Center in 1979. 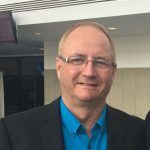 Having an entrepreneurial spirit matched only by an even stronger work ethic, he has been serving the Sherwood Park community for almost 40 years. In his spare time he enjoys networking and nature walks on golf courses. Travis joined Broadmoor Stationers and Copy Center in December of 2013. 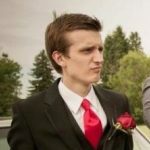 Travis received a Business Administration - Finance Diploma from NAIT, and has a strong family background in the print industry. Samantha has been a member of the team since November 2015. 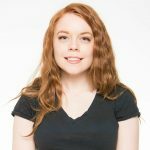 She graduated from MacEwan university with a certificate in Design Studies and a diploma in Digital Media and Design. Having grown up with a passion for being able to create, she continues to embrace it by incorporating design both in her personal life and career.  Broadmoor Stationers has been our sole source for printing support for years. The reasons are simple: professional quality combined with exceptional customer service and creative support for those jobs that require it. IVC considers Broadmoor Stationers a key community partner as we look to empower our community one project at a time. I have been a Broadmoor customer for 2 years and the team at braodmoor have always shown the greatest attention to detail and care on my projects. I have always been extremely happy in the quality of the work. From our Team to your Team! Excellence is what comes to mind! Your prompt response on all fronts and ability to catch those fine details that need amending is greatly appreciated. Such personal service is not readily received, so for that, many thanks to you all! !